It was a honor and I was humbled to offer assistance to the black and underserved community of New Orleans. I spoke to a family that fell on hard times and the husband had lost his job. It was obvious that it was hard for him to be there asking for help, but the family forged through it despite being embarrassed. Sensing the emotional struggle in reaching out for help made it that much more rewarding to assist them. They were looking for pre-foreclosure help. I felt good about the possibility of them getting service and help for their situation from NID and their mortgage servicer. I helped another NID Housing client recently that helps explain my enthusiasm for serving our communities. A younger millennial couple requested assistance with their credit report and financial management. They were able to pay off some items but needed counsel on which ones to pay off first. They left with some advice, homework, and a good start onward to home ownership. It gave me energy, when the couples’ eyes lit up, because we were able to give them information and hope that would make a change in their current situation. The experience confirmed for me the need for the services that NID Housing offers. I felt full of life after leaving that day even though I was physically tired. Our people suffer for the lack of knowledge. 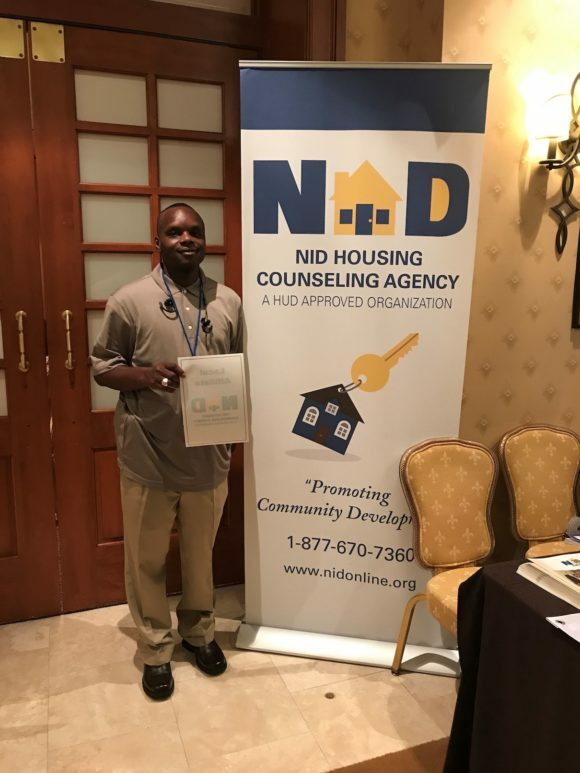 We [as NID Housing counselors] have that knowledge, and can pass on that counsel and assistance to our clients.